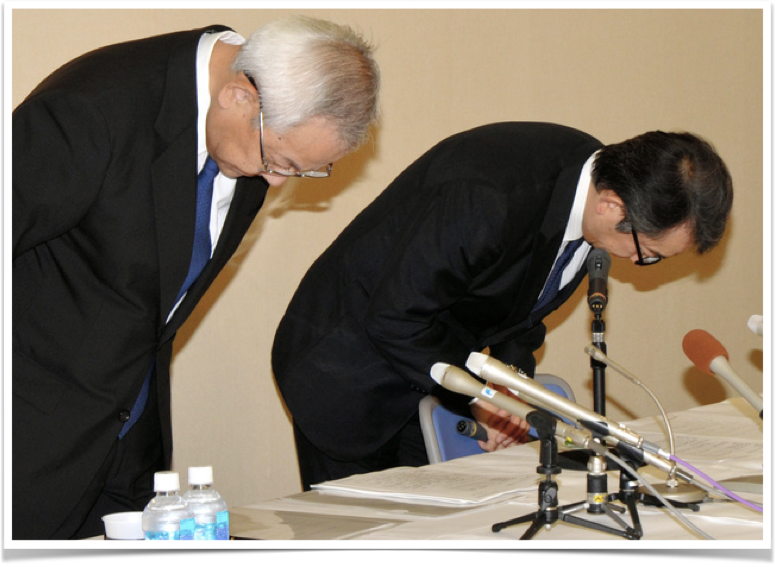 The investigation into officials at 11 Suruga Bank branches who are accused of collusion in regards to tampered loan documents to be used for property loan applications, has found the practice rampant throughout the bank, reported the Asahi Shimbun on May 17th, 2018. 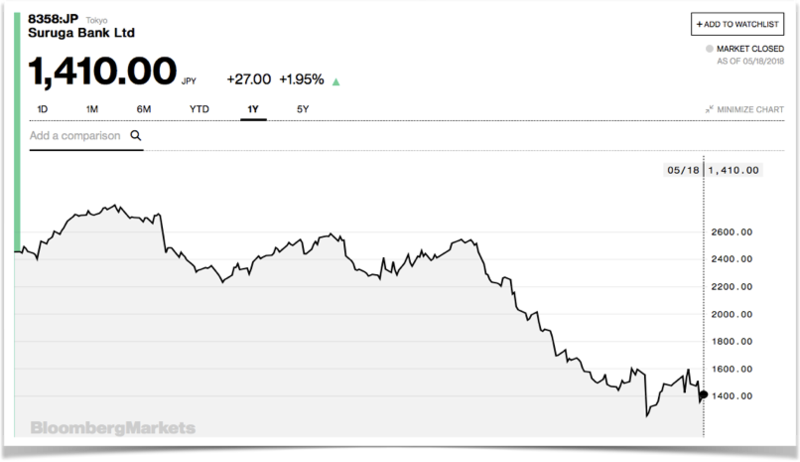 This is the latest in an ongoing scandal that has seen Suruga’s share price almost halve since February of this year. The investigation has led to the accusations of Suruga loan officials in being compliant with the use of tampered loan documents provided by real estate companies in order to secure borrowers higher than capable lending at higher than market interest rates. Suruga’s woes began with “Kabocha no Basha”, a female-only shared housing builder who sold developments to Japanese salarymen and women packaged with no money down yen loans from Suruga. Tampered loan application documents were used to secure financing and the share house operator promised owners rent guarantees, assuring them that despite the high monthly repayments to the bank, there would be enough rent to cover these payments with some left over. In March of this year, after many inquiries by owners regarding missed rent payments, “Kabocha no Basha” admitted they do not have the money needed to fulfill rent guarantees as promised. Owners were then left with obligations to repay Suruga amounts that in some cases were more than twice the owner’s gross monthly employment income. The share house owners, some 700 in total and all facing personal bankruptcy, called for an investigation into Suruga’s loan practices; they asked how Suruga was able to approve loans the size required to purchase the shared house properties despite each applicant not making enough annual employment income to justify borrowing amounts needed to purchase said properties. This kicked off an investigation by regulators that uncovered rampant document tampering not only isolated to share house lending, but to include second hand whole building financing as well. Since the allegations have surfaced, Suruga loan approval of second hand whole buildings and shared housing developments have plummeted. According to an anonymous employee of Suruga as reported by the Asahi Shimbun, some real estate companies are beginning proceedings to shut down corporate operations as it is now virtually impossible to secure no money down yen loans. In its March, 2018 annual report to shareholders, Suruga announced that 32.8 billion yen would need to be allocated towards doubtful lending connected to the scandal, eating heavily into profits for the fiscal year ended. Since the investigation is uncovering more widespread loan document tampering, it is expected that losses will continue well into the future.